Peachtree Planning has once again been ranked as one of the Largest Financial Planning Firms in Nashville in their October 5th, 2018 Issue. Here is a link to the list. 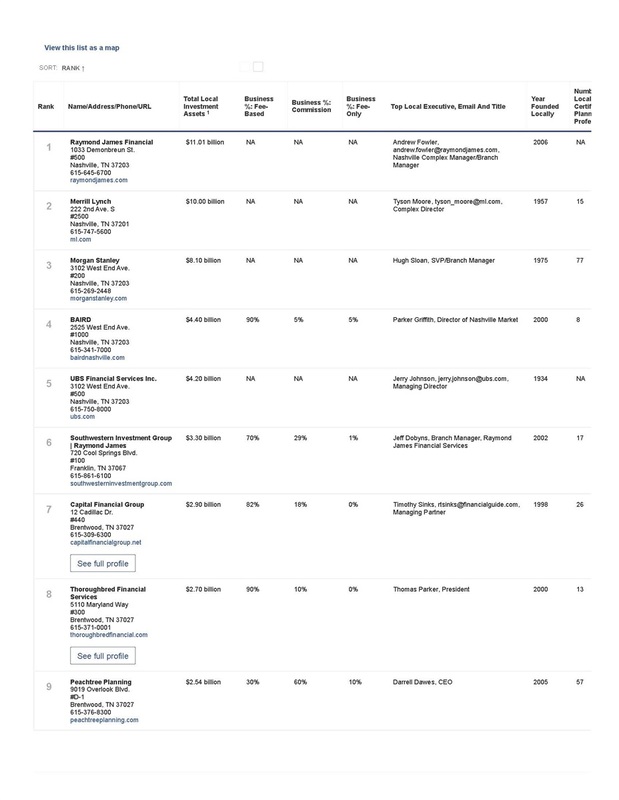 This List ranks Nashville-area financial planning firms by total local investment assets.